Cold emailing has a bit of a bad rap, often due to the plethora of poorly written marketing emails people receive. That leaves many reluctant to give it a try. But, it’s actually a powerful tool in any entrepreneur’s arsenal, as long as it’s used properly (and doesn’t amount to begging). Personally, I’ve had a response rate of approximately 1 in 5 with cold emailing, which is higher than a typical opt-in email campaign. To take advantage of what cold emailing has to offer, you have to let go of your fear. Think about it, what’s the worst that can happen by sending a cold email? They don’t respond? In the grand scheme of things, that’s nothing, so don’t let that hold you back. If you’re ready to take the leap, here’s what you need to know. Ultimately, a stellar cold email is based on creating a connection, and that usually means that a hard sell approach isn’t the way to go. People get bombarded by sales emails, so being too blatant isn’t going to get their attention. Instead, focus on what you can offer them, not what they can do for you. Ask them to contribute to a blog piece or a chance to be interviewed or focus on the opportunity to interview for a great job. Anything that shows them that they personally benefit from responding can do the trick, so keep that mindset when you write the email. You also want to make your story compelling in its own right. Make sure to highlight your (or your company’s) reputation, add tidbits about your prior successes, anything to draw them in that demonstrates your value. Make an effort to avoid phrases that can kill your credibility, such as “hopefully” or “if that makes sense,” so that you establish yourself as a confident authority on the matter. It should also be customized to the recipient. People can spot a canned email from a mile away, and they suggest you didn’t bother to take the time to learn about the person, which will hurt your response rates. And, for a cold email to work, it really should be an email and not contact through a web form or even their social media page. 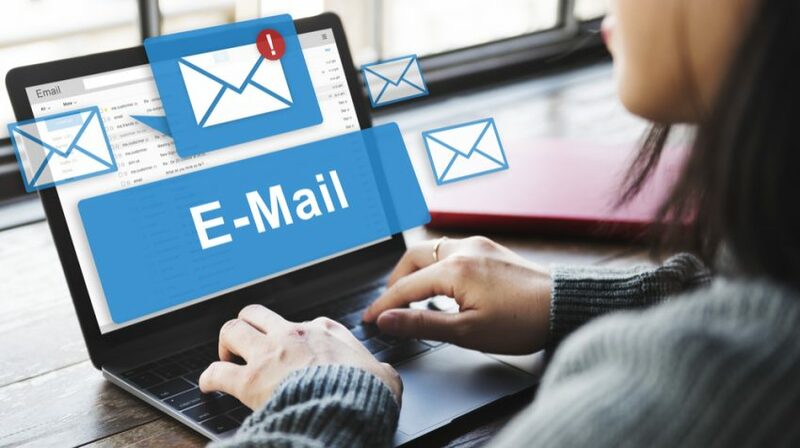 Luckily, most professional emails are easy to guess, especially since businesses generally use the same format, often involving portions of the person’s first and last name. If you can find just one example of how the company formats their email addresses, you likely have the key to all of them. If you’re looking for an investor or partner for your business ventures, it’s incredibly unlikely they are going to reach out to you; you need to do the work to get their attention. During the early stages of my start-up venture, when I was out chasing down the VC unicorns in the area, I pitched to over 100 firms and landed dozens of meetings. While my initial attempts at attracting investments from VCs weren’t successful, and I ended up with piles of rejection letters, they did lead to my success. First, the rejection gave me incredible insights into what I was doing wrong, as well as how I could change my approach. I became smarter, not just about how to use these communications to reach my goals, but also how to take more informed chances. Plus, these emails opened doors that wouldn’t have otherwise been available. Sure, they may have rejected my request, but they answered. That means I had a point-of-contact, allowing me to track my rejections, utilize the feedback, and keep those who expressed a genuine interest (and not necessarily the non-believers) posted on my forward progress. I let them know every time I took a significant step forward, showing them that I could pull myself up by the proverbial bootstraps and keep pushing. Ultimately, my Series A fundraising efforts yielded $4 million in investments, largely because I embraced cold emailing and used every subsequent response to make me better. In the vast majority of cases, the most exceptional candidates aren’t going to apply to posts on job boards. Why? Because they already have jobs. While it’s true that many job seekers are currently employed, the best and brightest unicorns in the bunch aren’t always actively on the hunt for new opportunities. But, that doesn’t mean they wouldn’t be interested in your vacant role, if they learn about it. That means being proactive is a must. You have to go out of your way to reach out to these individuals, and that typically involves a cold email. If you locate a great candidate, you need to reach out by email, even if you find them on LinkedIn or another social network, as this approach may have a better success rate. We all know that networking is a powerful tool; forging connections with like-minded individuals, professionals that you admire, and various thought-leaders can give you access to insights that may not have otherwise come about, future business prospects, and even help when you face a challenge that leaves you stumped. If there is another entrepreneur, professional, or another person that could provide value, don’t wait to reach out, hoping you’ll cross paths one day. Instead, initiate contact by sending an email. A simple invitation to a business lunch, speaking engagement, or another meeting of the minds can be a gateway to a meaningful professional relationship; all you have to do is send it. As mentioned above, make sure you focus on what they have to gain from saying “yes,” and not just what you want from them. A person is more likely to agree if they can see the value too, so figure out what could benefit their business or career, and find a suitable correlation between both of your goals before you present an option. Is cold emailing the answer to reaching all of your business goals? It’s hard to say. The point is, you shouldn’t ignore the option just because other technologies have taken the spotlight. Cold emailing can be incredibly effective, so it should be considered a best business practice for entrepreneurs. Add it to your collection of tools by letting go of your fear of people saying “no” and give yourself a chance to experience how powerful cold email can be yourself. It may just surprise you.